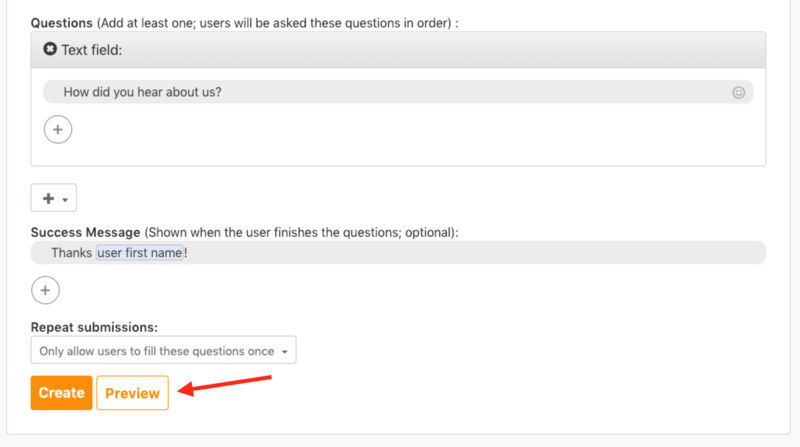 The Questions feature is a valuable tool for gathering audience-generated content, opinions, polls, surveys, and ideas. Your can include text fields, multiple choice fields, and image fields. How to create the Question? Can I preview Question before sending it out as a broadcast or publishing it in my bot's menu?